I’ve had a couple of years to use the Ice Buster bobbers and they may look too ‘simple’ or boring, but let me tell you, they are great. The genius of these bobbers is the fact that they are so simple and effective. With a knife, scissors, or your teeth, you can cut the bobber’s length down to match your lure/fish size. This is a unique fishing tip in itself: If the bobber puts up too much floatation (buoyancy) when the fish pulls it under, the fish will instinctively let it go. 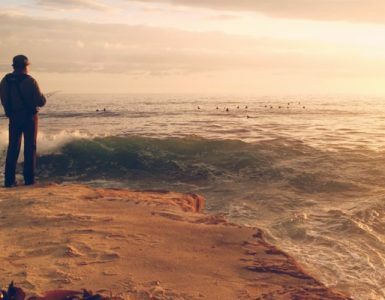 Too big of bobbers cause thousands, or maybe millions of lost fish every year. A quick snip and you have a close to the neutral buoyant bobber. 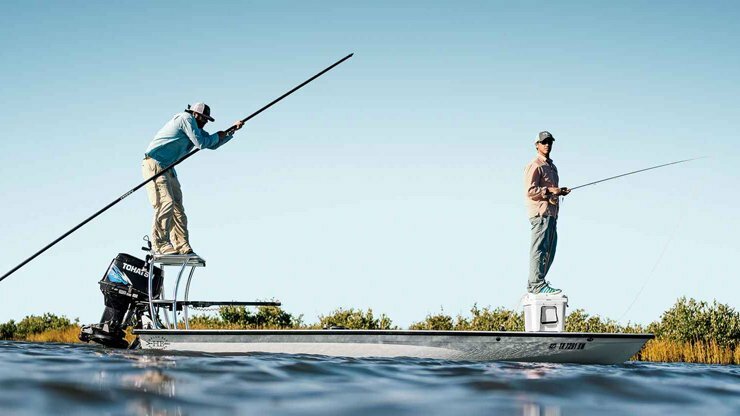 This is the most ideal buoyancy you want when fishing with bobbers. The base of the bobber, the only part that clips to your line, actually sits underneath the surface of the water. This is such an important feature for any bobber, that if you are using a bobber that doesn’t have a feature like this, you might as well save them only for warm water fishing. This will save you headaches and keep your hands warmer since you won’t have to constantly melt the ice off the bobber. Also, don’t need to use a bead with this bobber, it’s made so you don’t need one. The base of the Ice Buster bobber simply clips onto your line easily. Simple as that. Couldn’t be much easier. If you have different sizes of bobbers, try clipping on different sizes to see if one works best with the lure you are using (neutral buoyancy). Because the Ice Buster bobber is made of foam and a small plastic base, you almost never have to worry about breaking it. If it’s sitting on the ice and you accidentally step on it, it will be just fine, unlike most other bobbers out there. 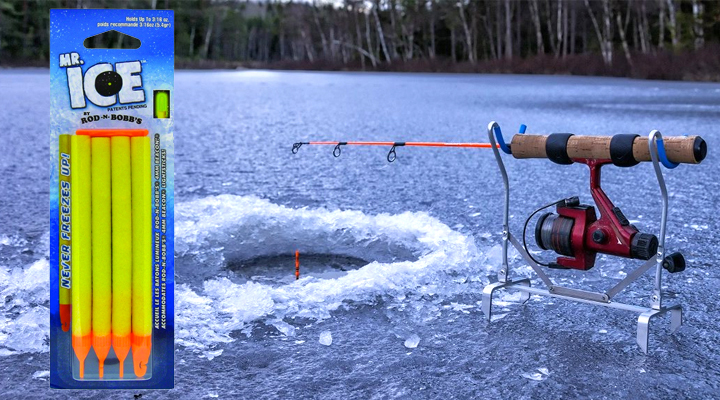 The Ice Buster bobbers aren’t only for ice fishing, you can use them just as easily in the summertime. Just clip them to your line and you have a easy casting, effective slip bobber in seconds. 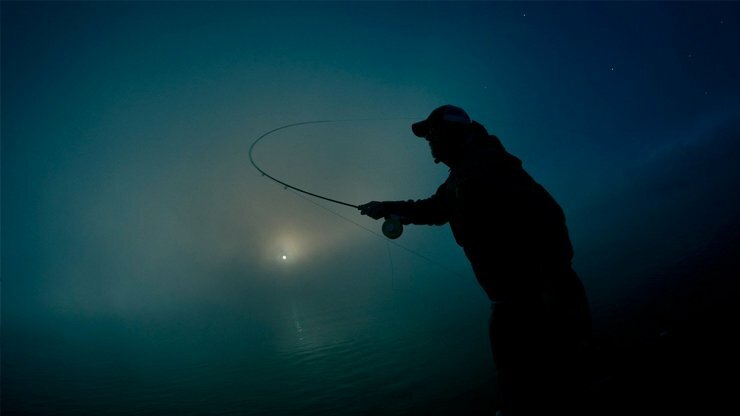 When night fishing, you can poke a hole in the top of the foam bobber with a tooth pick and plug in a glow stick, or any other device you think might help. The 3 1/2″ size bobber will hold up to a 1/16 oz jig and works particularly well for crappies, sunfish, perch, trout and many other panfish. The 5″ size bobber will hold up to a 1/4 oz jig and works best for walleye, bass, northern pike, lake trout, and other similar sized fish. The 7″ size bobber will hold up to 1/2 oz jigs. These can be seen well from a distance because they stand taller as well as being used in current in rivers. I really can’t say enough about these bobbers. When you are out fishing, the last thing you want to deal with is a crappy bobber that doesn’t work and freezes up. Try these out and I guarantee you will accept them as a quality bobber in your tackle box. Tips – When ice fishing, I like to have two holes. In one hole, I will set up a live bait rig (usually a minnow) under an Ice Buster bobber. In the other hole, I keep my flasher in, and I use jigging lures for a constant moving action. Many times, if the fish won’t bite my jigging lure, the fish will go after the live bait under the bobber. Man I love watching a bobber go down, don’t you?